AirCraft Casualty Emotional Support Services (ACCESS) is a New York and San Francisco based national non-political, non-profit, tax-exempt (501c3) organization established in 1996 by Heidi Snow. It is the only organization dedicated to partnering those who have survived or lost loved ones in air disasters with professionally trained volunteers who have experienced similar losses in years past. 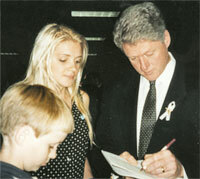 Heidi founded ACCESS after losing her fiancé in the TWA Flight 800 air disaster off Long Island, NY on July 17, 1996. 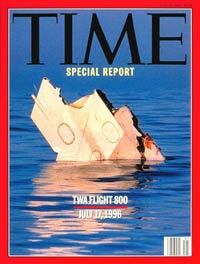 TWA 800 crashed in the Atlantic Ocean with 230 passengers aboard. The ACCESS Volunteer Grief Mentoring Program provides support to hundreds of grief-stricken individuals affected by commercial, private, helicopter, and military air disasters, including those who lost loved ones in the World Trade Center and the Pentagon. We are available to help immediately and in the weeks, months, and years following an air disaster. ACCESS provides sensitivity training based on our cumulative knowledge of those affected by air disasters to disaster response teams around the world including: Southwest Airlines, Air New Zealand, Qatar Airways, Heritage Flight Charter Airline Company, The New York City Medical Examiners Office, The National Transportation and Safety Board, and the American Red Cross. ACCESS has 250 trained Volunteer Grief Mentors whose firsthand experiences with aviation disasters makes them especially understanding and compassionate listeners. Each have a unique combination of hard-earned knowledge and sensitivity training and are trained to provide non-political, non-denominational emotional support to those who call ACCESS for help. ACCESS Volunteer Grief Mentors provide ongoing support to those suffering in the wake of air disasters to alleviate the emotional devastation caused by such a sudden and unexpected loss. Sometimes clients seek help many months or years following a disaster. ACCESS is available from the moment a plane goes down as well as in the weeks, months and years following an air disaster. ACCESS is always readily available and easily accessible via our Toll-Free Helpline and website for as long as the grieving need help. ACCESS minimizes the risk of developing post-traumatic stress symptoms, long-term depression, family difficulties or an inability to function socially or occupationally. ACCESS provides free peer bereavement counseling to both survivors and those who have lost loved ones in air disasters dating back to 1958. ACCESS has trained JetBlue Airways, Southwest Airlines, Air New Zealand, Qatar Airways, SkyWest Airlines, and the Heritage Flight Airline Charter Company as well as the New York City Medical Examiner’s Office, American Red Cross, National Transportation and Safety Board and Travelers Aviation. In addition ACCESS has trained at the Embry-Riddle Aeronautical University Aviation & Law Insurance Symposium, American Association for Justice, Dombroff Gilmore Jacques & French Symposium, New Jersey Self-Help Clearinghouse, National Structured Settlement Trade Association, American Bar Association, and other crisis response agencies that respond to air disasters. ACCESS Volunteer Grief Mentors speak and lead discussions and workshops using their personal experiences and training to provide insight into what helps and what hurts during the grieving process, and what the bereaved can expect in the months and years ahead. Following 9/11, the ACCESS Volunteer Grief Mentors led workshops at the New Jersey Self-Help Clearinghouse for the 9/11 FiancÃ©e and Partner Group in New Jersey, as well as numerous other ad hoc support groups. ACCESS continues to provide long-term support to hundreds of grief-stricken individuals who have survived or lost loved ones in private, commercial, helicopter and military air disasters, including those aboard the four aircraft and on the ground in the World Trade Center and the Pentagon on 9/11. ACCESS collaborated with Disaster Psychiatry Outreach in designing and introducing counseling programs for employees who lost co-workers in and witnessed the events of September 11th. Additionally, ACCESS Volunteer Grief Mentors educated 9/11 crisis response workers and airline response teams at a training conference in Boston sponsored by Higher Resources, Inc.
ACCESS provides Sensitivity Training workshops to companies such as airlines, insurance companies, law firms and disaster response organizations that work with those affected by air disasters to help their employees better respond to the bereaved. Based on the research compiled from over a thousand individuals who have called ACCESS for help, the crisis communication information offered in these workshops gives attendees an understanding of what to expect when dealing with individuals in the wake of this type of tragic loss. ACCESS created “For Survivors by Survivors”, an educational film for companies, airlines and crisis responders who respond to air disasters. This one-of-a-kind video offers detailed firsthand accounts of the stages of grief as well as invaluable insights into surviving this type of tragic loss over time from those directly affected by air disaster-related tragedies. Contributors include parents, siblings, orphans, spouses and significant others who each tell the stories of their losses in air disasters. ACCESS published the book Surviving Sudden Loss: Stories from those who have lived it, Forward written by Mayor Rudolph Giuliani. This book contains 28 firsthand accounts of survival in the wake of the sudden loss of a loved one. The stories presented in this book serve as a specialized training tool for crisis response teams and individuals who interact with those who have lost loved ones suddenly. ACCESS has been featured in most major newspapers and seen on most television networks including: The New York Times, People Magazine, Larry King Live, The Ananda Lewis Show, A&E –“Minute By Minute”, NY1 – “New Yorker of the Week”, CNN, CBS, NBC, ABC, and Fox. ACCESS depends on the generous contributions of our sponsors in order to operate.